In a new Aligning the Organization for Its Digital Focus report from MIT Sloan Management Review and Deloitte University Press, nearly half (44%) of the more than 3,700 business executives, managers and analysts surveyed currently believe their organization is adequately preparing for digital disruption. But how should the other half (actually more than half) get started? Many say it’s with a design thinking exercise to accelerate their organization’s digital transformation. 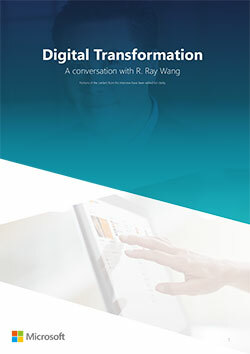 In a recent interview with Ray Wang, Principal Analyst, Founder, and Chairman of Constellation Research, as well as the author of the best-selling book, Disrupting Digital Business, Wang notes executives have to set up an environment for people to be successful. And that’s where design thinking comes in: getting everyone involved in innovation. “What many organizations do is they begin the process with a design thinking exercise,” notes Wang. “The design thinking process helps people generate ideas in a collaborative way that takes full advantage of everyone’s perspectives. By having different people from different teams come together, you have a wider and deeper 'pool' of experiences to inform ideation. 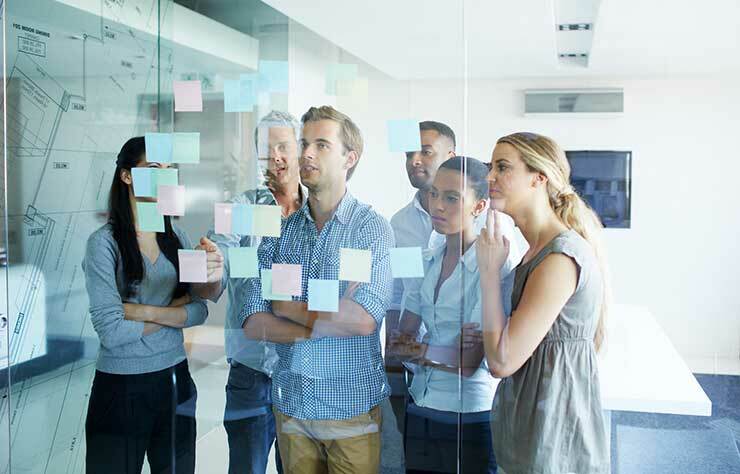 “The key to success," Dickerson notes, “is to make sure the collaboration and brainstorming is properly facilitated and timeboxed, to allow the right structure to help the innovative ideas grow and flourish. “Those limits actually make the groups focus more, and by splitting everyone into smaller teams, there is a bit of friendly competition between the different groups that encourages people bring great ideas to the table." And does design thinking actually work? But it’s truly a team effort. R "Ray" Wang is the Principal Analyst, Founder, and Chairman of Silicon Valley based Constellation Research, Inc. He's also the author of the new best-selling book Disrupting Digital Business, published by Harvard Business Review Press, as well as the business strategy and technology blog "A Software Insider’s Point of View" which provides insight into how disruptive technologies and new business models such as digital transformation impact brands, enterprises, and organizations. His Silicon Valley research firm, Constellation Research, Inc., advises Global 2000 companies on the future, business strategy, and disruptive technology adoption. Starting a digital transformation initiative and need transformational tools? Learn more about Microsoft Dynamics 365, Microsoft's next generation of intelligent business applications. Click here.